Iron Covers – Yes or No? Who would have thought that a simple question about iron covers would spark such and interesting conversation. In the past, I have advocated the use of the iron covers, but have slowly edged away from their use. Mostly because, I would wear them out or lose one. They generally lasted one season and then it was time for a new set. I always thought that they made a great Christmas gift, but apparently I was breaking the cool rule for golfers! Now, I thought this made sense, but according to the cool cats out there, using iron head covers was a faux pas! 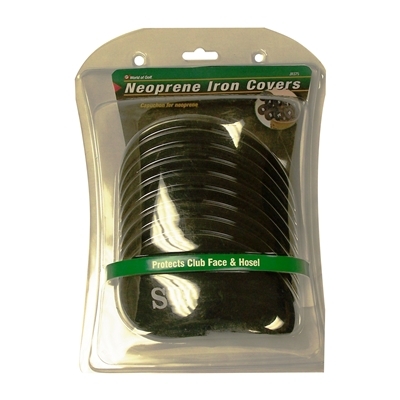 85% of the respondents shout a resounding “NO!” to iron head covers. Who knew that this small gift could stir such a response. I personally have never and most likely will never use them but now that single clubs are in the $200-$300 each I get it. Less about the noise and more about protecting your investment. Other responses include only using iron covers when travelling or a big “NO” from a caddie (it was a pain for them when working). What I found interesting is that the only other reason (except for caddies) for not using the iron head covers was they were not cool. I am not sure that is a legit reason to not use them, but I have heard crazier reasons for not using some golf stuff. I want to thank everyone who participated in the poll and ensuing conversation. It was a great way to pass the time. 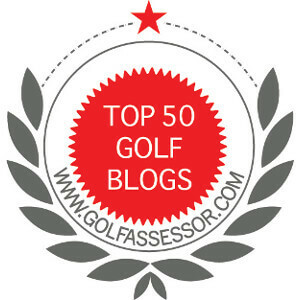 I look forward to more exciting talks on golf in the near future. Two things I don’t understand about this. Exactly! But that is where the conversation lead. We are on the same page. No no no no no ….lol. How interesting that this should cause such strong opinions! I use head covers on all my clubs including irons and wedges and it matters to me not a jot whether that is considered cool or otherwise. (1) I dislike lots of clanking noises when on the move (2) I like to protect what is a significant investment (3) perhaps most importantly, the headcover removal and replacement is an integral part of my pre and post shot routine. I vote yes and don’t care if I’m deeply uncool. Cheers, Rob. Well, I always thought that as well, however the majority thing otherwise. I agree with the investment and protecting thousands of dollars with a $20 tool. Thanks for weighing in.